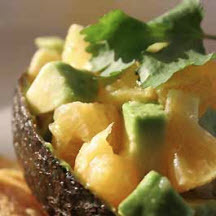 CooksRecipes has quality, kitchen-tested recipes for delicious salads featuring avocado as a main ingredient. A colorful display of farm-fresh produce, avocados and tomatoes take center stage when drizzled with this vibrant, well-seasoned vinaigrette. 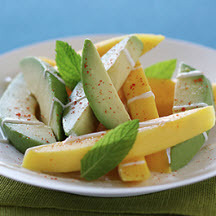 Looking for new ways to serve avocado? 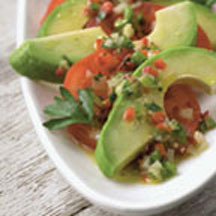 Try this refreshing salad that combines avocado with juicy fresh tangerine, cilantro and red onion.